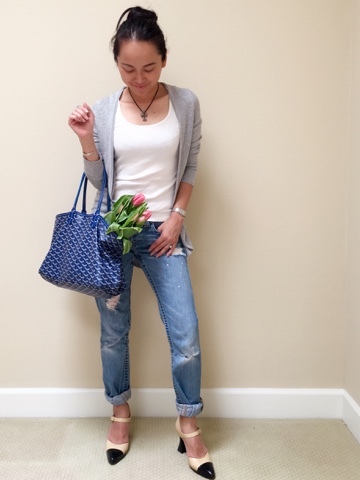 I have always adored comfy stylish clothes, but after becoming a mom, it has become of vital importance. I want to look stylish and savvy but I also want to save time as a tot is not going to wait around patiently while mommy get dress. 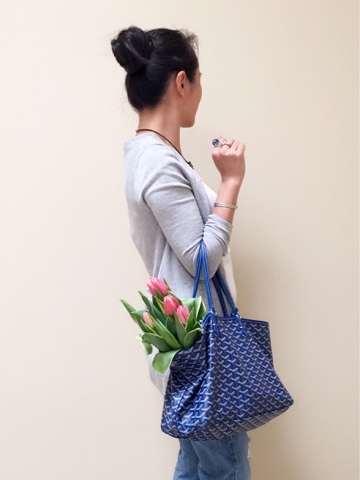 Recently I am totally in adoration with grey and blue. 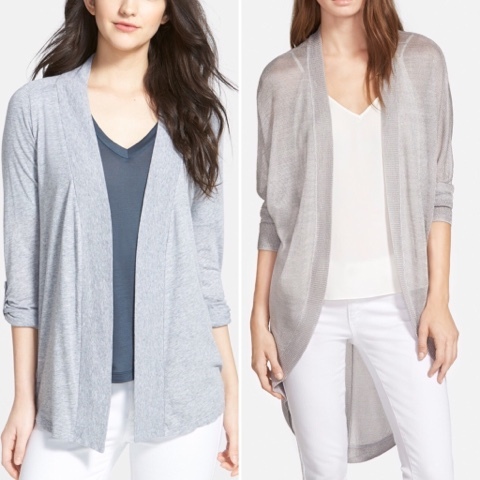 It's just so easy to throw on a casual grey cardigan with jeans and call it a day. When I shop now, I like to find easy pieces that are interesting. 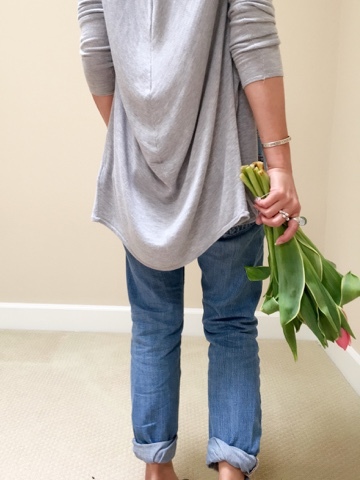 I bought this grey cardigan from Ted Baker a few years ago solely for the drape look in the back. 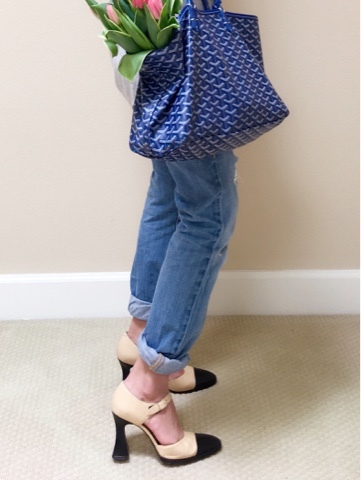 It is casual but sooooo chic! 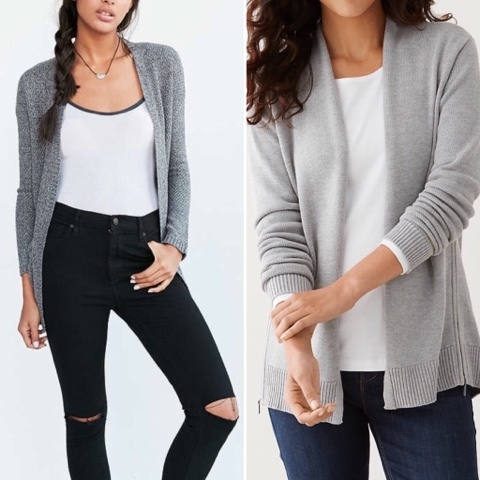 I am loving the grey cardigan so much that I went online to try to find another one or two for myself for the cooler summer nights in SoCal and to transition over to fall. I found 4 that I like and these won''t break the bank at all. Yay! The first 2 are my picks, especially the one on the right. What do you think?